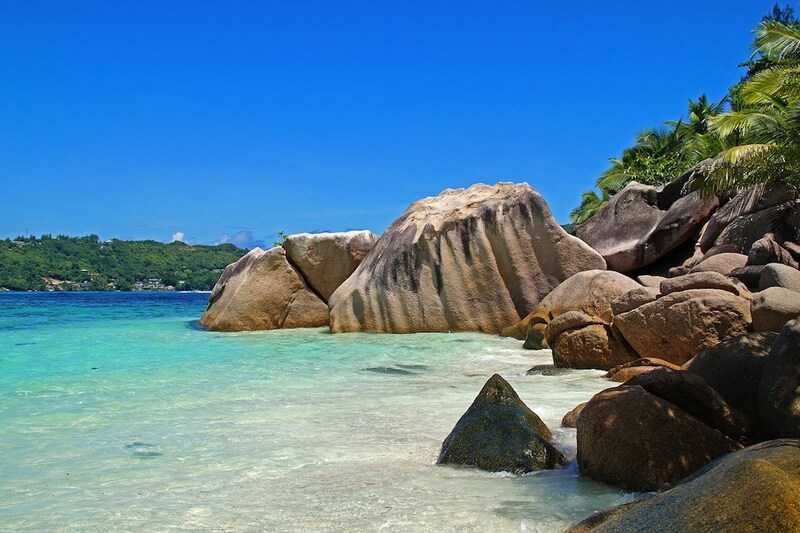 Home » Travel Blog Posts » Should You Join the Breathtaking Seychelles Group Tours? Should You Join the Breathtaking Seychelles Group Tours? The Seychelles is home to one of the most diverse landscapes in the world, with the archipelago consisting of 115 granite and coral islands and offering a scenic convergence of rich forests and the breathtaking cerulean ocean. Although it is primarily famous for its tranquil and pristine beaches, the archipelago provides its visitors with activities as diverse as its topography, making the Seychelles group tours an adventure-filled experience. Of the 115 islands, 16 currently offer accommodation, ensuring all Seychelles tours turn out to be a welcome discovery. In your Seychelles group tours itinerary, be sure to include the two UNESCO World Heritage Sites found in the archipelago: Vallée de Mai and the Aldabra. The Seychelles also does not hold back when it comes to its flora and fauna, with 50% of its landmass maintained as national parks and reserves. Here you will find species not found anywhere else, such as the jellyfish tree, the Seychelles’ paradise flycatcher, and the Coco-de-mer, dubbed as the largest seed in the world. Valley de Mai is a nature reserve in the island of Praslin especially created to host the Coco-de-mer. But more than just the home of the Coco-de-mer, Valley de Mai is also believed to be the real Garden of Eden, where Adam and Eve resided after the creation of the universe. This paradise is indeed a must for every traveler. The paths are well laid out, and every step leads to a discovery unlike any other. The world’s second largest coral atoll and another UNESCO World Heritage Site calls the Seychelles its home. The Aldabra Atoll was first discovered in the 9th century A.D. by Arab seafarers. This small island’s slightly isolated location makes it an ideal habitat for varied species. 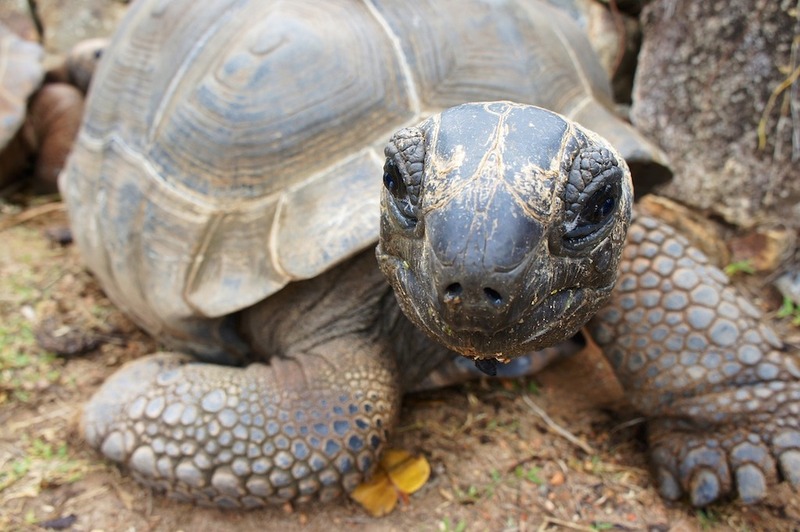 Most notably, the Aldabra hosts 100,000 out of the 150,000 giant tortoises in the world. Furthermore, the largest crab species on the planet and the only flightless bird found in the Indian Ocean, the Aldabra Rail, also find shelter in the island’s beautiful, arid shores. If you are looking for a gastronomic adventure that is both historical and unique, then Marie Antoinette is the perfect destination for you. This restaurant is said to be the oldest in the Seychelles and serves authentic Seychellois “Creole” food, which is a combination of African, Asian, and French flavors. But the ultimate must-try for guests is their Fruit Bat Curry, which is an adventure in and of itself. End your well-deserved meal by watching tortoises in the restaurant’s backyard. Look out for Abraham, the charismatic 60-year-old tortoise. 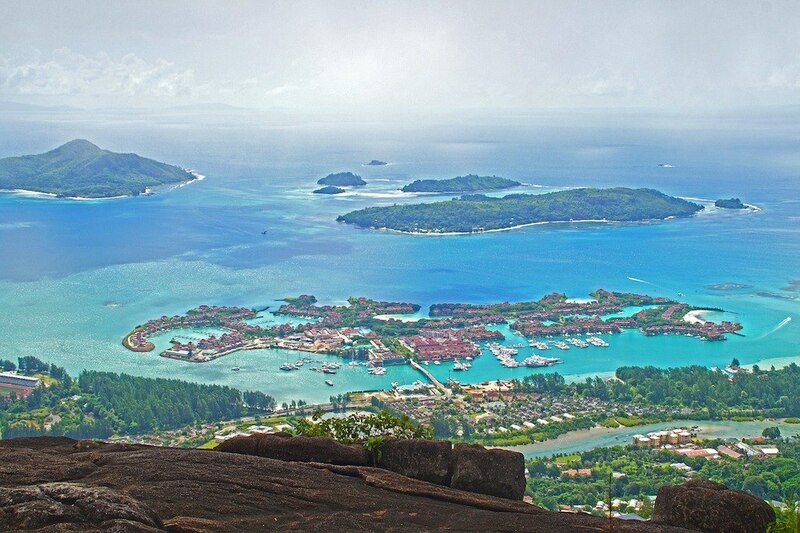 Beyond its breathtaking landscape, the Seychelles also offers a culture as colorful and unique as its flora and fauna. The beauty of the Seychelles is best depicted in the works of its talented artists. Include in your trip a visit to various art studios such as the Adelaide Studio and watercolor artist Andrew Gee’s Studio both located in Mahe, and Carrefour des Arts located in Victoria. As expected, the Seychelles is every photographer’s dream come true. Other than the sites mentioned above, photography enthusiasts should also pay a visit to the Bel Air Cemetery, the Granite Boulder, and the Bicentennial Monument. Wherever you go on your affordable Seychelles vacation, every scene before you is guaranteed to hold a picture-perfect moment.